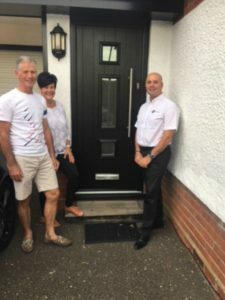 At FIS Windows, owner Pas Iachetta is very proud to be an installer of the Solidor Composite Door Range, which is approved by Police for security. Pictured here with Senior Police from Suffolk Constabulary, showing off their stunning “Genoa” door from the Italia collection in Black. Now that’s what we call a seal of approval! Find out more about our Solidor door range.